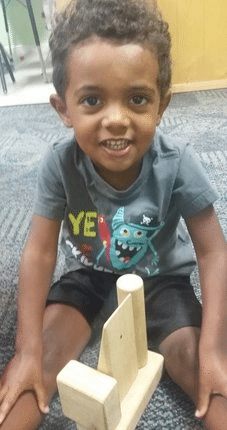 Our Preschool Program serves 3 and 4 year old children. It is important at this age to lay the groundwork for school: focusing on the basics of interaction, cooperation, respect, and independance to help your child transition to Kindergarten with the skills they need to be a successful learner. 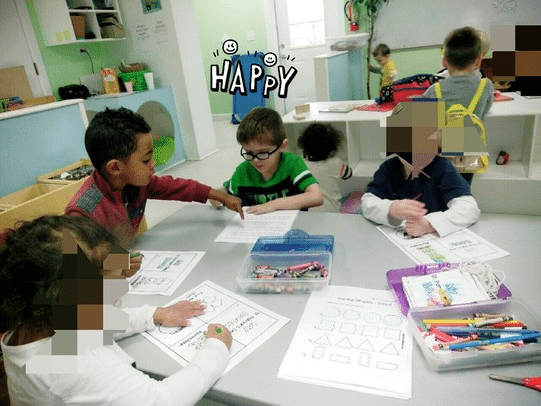 Our curriculum includes activities that address physical development, cognitive ( brain ) development, social and emotional development, and language development. Children will have time to work in small groups, large groups, and independently or in groups during center time, For more info on how Play supports brain development and teaches language, writing, math, science, and social skills see our blog post on the importance of play. Children will work on letter and sound recognition, writing their names, colors and shapes, and understanding the world around them. Art and music are also a vital part of our program. Outside time to explore and exercise occurs for at least 1 hour each day that weather permits. Children will also be given an opportunity to rest during nap time after lunch. Our Preschool classrooms have access to bathrooms and sinks at a child sized height. Preschool classrooms do not usually have a changing table, but we believe every child deserves access to education no matter where they are developmentally.We realize that some children potty train on a different schedule and are ready at different times because no two children are exactly alike. Our teachers will work with your family to develop a plan and make sure your child's daily needs are taken care of. Parents will be asked to supply pull ups and a change (or multiple changes) of clothing.